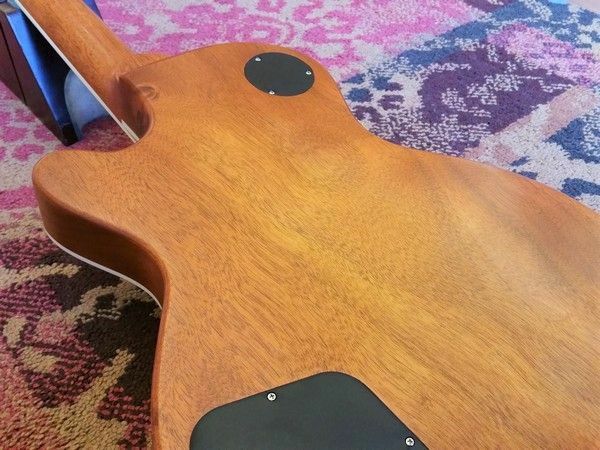 This Eastman solid body has it all; Deluxe looks and Deluxe tone. 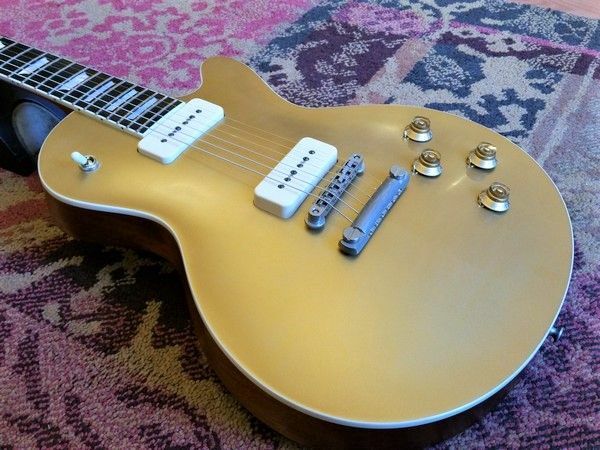 For many the most interesting Les Paul style model is the one with P90's and a Gold finish. Deep warm & round tone with a just as luxurious finish. Jason Lollar himself contacted Eastman to establish a collaboration in order to both do what they do best. 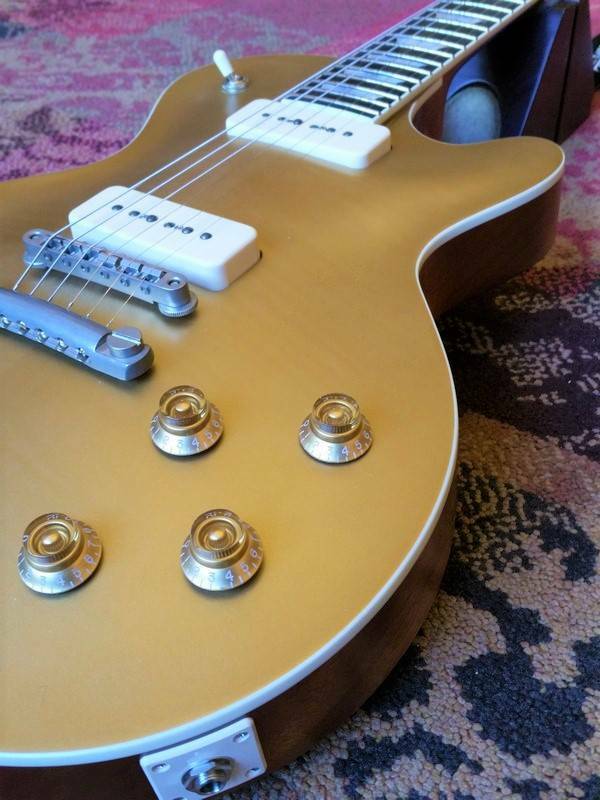 Lollar pickups are one of the best sounding pickups out there, and Eastman has proven themselves to be one of the finest instrument makers of our time. 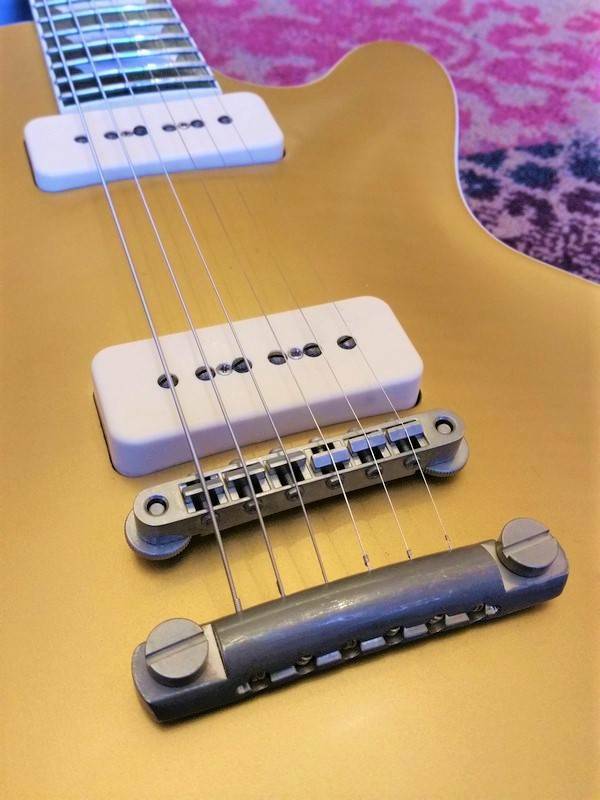 Lollar is making Custom Lollar pickups to provide Eastman with great sounding pickups, and these Custom P90 are just what they should be.